Red Bank, which gets its name from the red soil banks of the Navesink River, has a rich history going back to the 18th century. Dave Quinn takes a look back at the Eisner family and their impact on the town of Red Bank. This article originally appeared on RedBank.com April 15th, 2002. 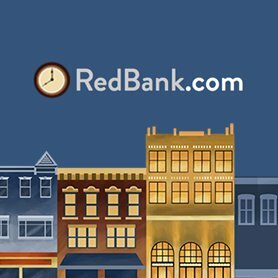 Read the history of Red Bank from its humble beginnings in 1736 to present day. Brought to you by the Red Bank Borough and the Historical Commission. Explore hundreds of articles from The Red Bank Register, a local paper that ran from 1878-1991. A massive undertaking, the original microfilm archive was digitized thanks to a joint effort between the Middletown Township Public Library and the Red Bank Public Library. Search by date or text. Read about the fascinating history of one of Red Bank's most recognizable buildings: The Galleria. Completed in 1917, this industrial textile factory played a big role in uniform and gas mask production in WWI and WWII. Learn more on The Galleria's web site.